What can and can’t be dubbed a ‘Beater Watch’ remains a contentious issue among many. Whether ’tis nobler in the mind to let your watch suffer the slings and arrows of outrageous fortune, or to take arms against a sea of troubles and shelter your beloved watch from harm. The ponderings of Hamlet seemed oddly fitting one morning as I awoke to a notification and a Rolex Forum’s link, where it seemed a comment I’d made in a previous story had stirred the pot on the topic of beater/daily wear watches. While it was interesting to see the contrasting replies to the story itself, what proved more fascinating was the distinctly different ways in which people defined the criteria of a beater watch in the first place. Case in point, the words of forum member ‘Burlington’ who stated the following: Big difference to me at least between a daily wearer and an actual beater watch, which will be treated roughly, bounced around, mis-thrown into gym bags, scraped and scratched and used for ANY task or circumstance where loss or catastrophic damage are of a high likelihood. I think we need to start by clearing the air on what we mean when we say the word beater. Frankly, the statement above is beyond the bounds of reason. 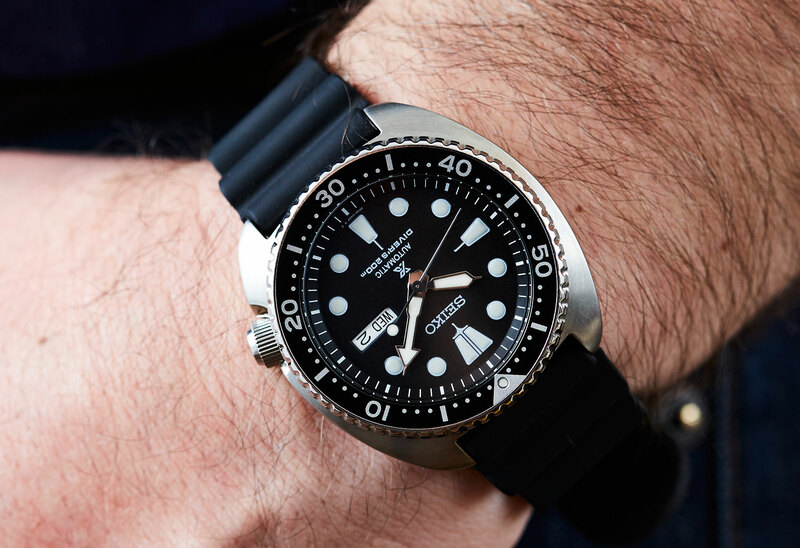 Back in my days as a BMW mechanic, I would wear a watch on a daily basis while working — generally an affordable diver, like an old Seiko 7002, or sometimes my Tutima DI 300. These watches would get dirty, yes, and in some cases they would touch down against suspension or engine components as I was removing or installing parts throughout the course of my day. That said, there was always a tipping point where I would acknowledge a level of risk and remove the watch, say if I had to reach into a very narrow space and I knew the watch could be seriously damaged. The point I’m driving at here is that I believe there is a threshold between accepting a moderate amount of use/abuse, and intentionally subjecting it to circumstances where, to use the words of ‘Burlington’, you’re willingly subjecting it to risk of catastrophic damage or loss. I don’t believe that this mentality REALLY exists amongst the collecting enthusiast community, but instead we simply have varying lines in the sand of what we’re willing to subject our beloved watches to on any given day. Effectively, the terms ‘beater watch’ and ‘daily-wearer’ are one and the same, depending on what your daily rigmarole contains. If it’s a watch you’re able and willing to wear all-day-every-day, it’s your go-to, your comfy wrist companion that will follow any journey. That said, depending on your watch budget and comfort level, what actually lands in that category can vary substantially. Of the very few hard lines in the sand, precious metals, the lack of a screw-down crown, and leather straps should knock any watch out of contention. I think this is an easy category for most of us, at the end of the day. The Seiko SKX007, Turtle, Mini Turtle, and other divers are an absolute no-brainer for their great value, bright glowing lume, water resistance, and general robustness. If you’ve gotten your hands on one of the rarer limited PADI or Zimbe models, there might be something to be said for keeping those models slightly more pristine (if you’re that kind of collector), but across the board the brand’s dive watches are tools, meant to be worn and used in all sorts of situations and circumstances. Stepping things up a bit, offerings from Doxa, like the recent SUB300 reissues, and even the slightly more hefty SUB 1200T, are the appropriate kind of wrist-mounted tanks to take on any adventure. If they were good enough for the Cousteau family’s many undersea adventures, I’m pretty sure they can handle most day-to-day activities with ease, especially when paired with a comfy ISOfrane strap or their sleek beads-of-rice bracelet. Of course, there are ample other contenders to consider here from some of the better microbrands out there — Halios, Raven, Monta, MK II, and Zelos, to name a few — all of which have done a great job of proving their robustness since hitting the market. Last but not least, we can’t neglect G-Shock when it comes to beaters, as their torture-testing methods know no bounds. Offered for a bargain and built to survive being run over by a bus, the only thing holding the brand back in the category is their love-it-or-hate-it aesthetics (but I think everyone should own at least one). This is the point where I can already sense the heat coming my way, as it was my referring to the Aquanaut 5167 as a daily-wearer/beater that spawned the aforementioned forum debate in the first place. 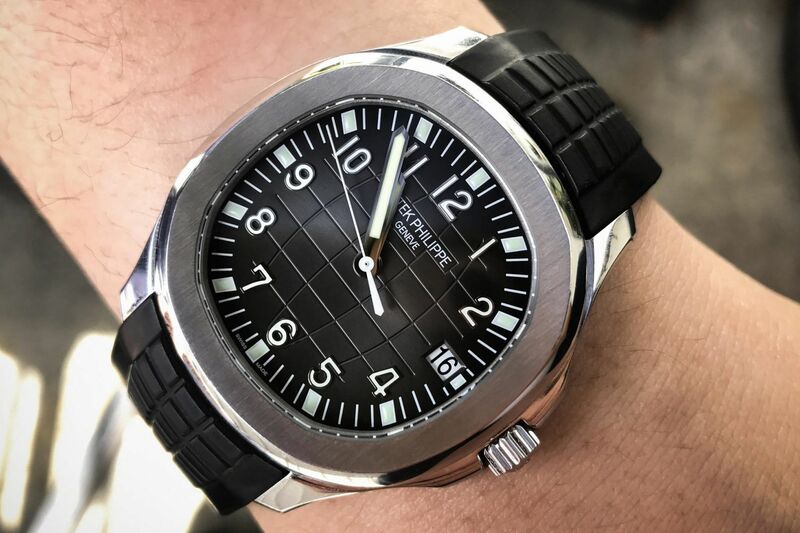 The fact of the matter is, there are a good number of highly coveted luxury watches from some of the world’s best makers that are actually suited to being an everyday watch, and the Aquanaut is a prime example. The brushed finish to its bezel and case sides make faint scuffs and scratches less noticeable should they arise, and the combination of a rubber strap, screw-down crown, and 120m water resistance are prime design details that speak to a less babied wearing approach. The same can be said for Vacheron’s latest variations of the Overseas in any steel-cased configuration. Again, water resistance and screw-down crowns (and pushers) speak to overall resilience, and the fact that they are packaged with bracelets, rubber straps, and leather straps from the factory just scream that Vacheron wants you to be able to take your Overseas anywhere and everywhere. Finally, it’s hard to argue that the Royal Oak Offshore Diver isn’t a perfect bang-around tool watch either, especially when you look at the condition of some of the pre-owned offerings out there these days. Looking at it slightly more practically, keeping things in the sub-$10k range of luxury watchmaking, there’s still a lot of wonderfully over-engineered options out there. The Rolex Explorer is a prime example, first conceived specifically for high-elevation exploration and adventure. 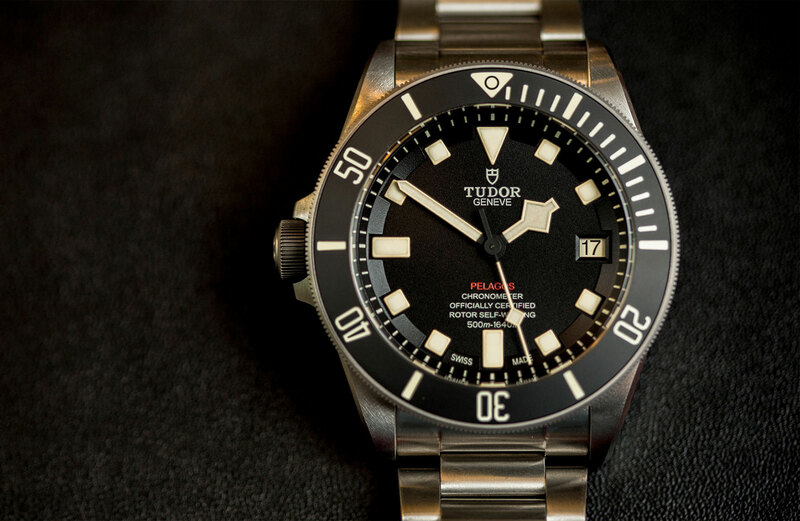 Stepping over to Tudor, the Pelagos slots into the daily/beater/tool watch category like a champ, as does the more slender North Flag. Both watches are running Tudor’s MT5621 COSC-certified calibre, which Tudor further beefed up with a traversing bridge supporting its balance wheel that further enhances shock protection over the industry-standard ETA 2824. There’s also a matter of Bremont, whose Trip-Tick multi-piece cases and other clever shock protection upgrades ensure that all of their watches are able to handle some serious abuse. Case in point, their first watch built in partnership with Martin Baker ejection seats suffered through the same torture testing that ejection seats themselves go through before the brand was ready to bring it to market. At the end of the day, only you can choose what you’re willing to consider as a beater watch, and what sort of adventures you are willing to subject any of your watches to. Our job in editorial is to open your mind to the possibilities, to allow you to ponder a new perspective, and maybe, just maybe, change your outlook. I’m not saying you need to go and bang your prized watch up against some rocks on a hike, but simply to appreciate the fact that someone just might, and that they’re okay with that.